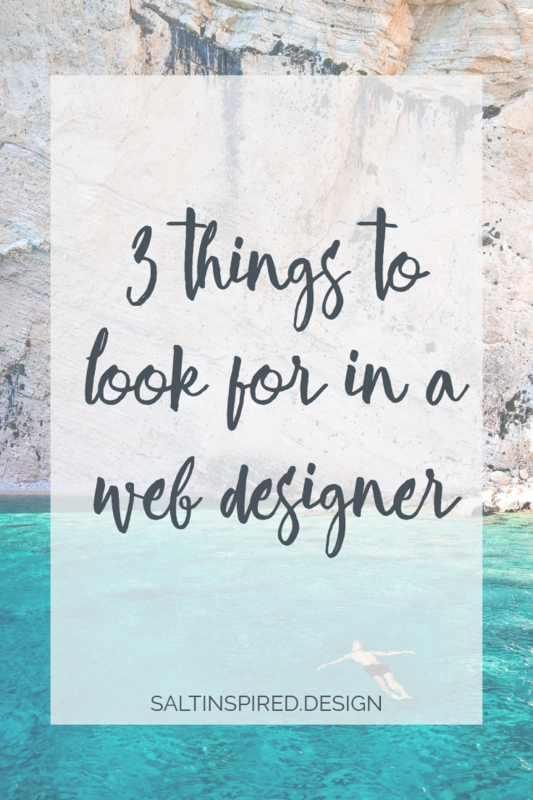 Have you been wanting to hire a web designer, but felt lost or overwhelmed? There are a lot of advertisements for design services out there, which can create even more questions as you go through your search. If you’re seeking a web designer’s services, you may feel as if you aren’t equipped with the right questions to determine whether they’re the right fit. With the tips below, we hope we can help make the process a little easier. Are you looking for the right help? It’s important to be aware of what kind of web design service you actually need. While their abilities can overlap, there are differences between a Web Designer, a Web Developer, and an implementer. A web designer is someone who creates the overall look and feel of your website. They will work with you to decide colors, create a logo and/or branding if needed, determine layouts for your pages, and craft mockups of how your site will look. Web design may seem straightforward and just about making it look pretty, but a designer will have a deeper knowledge of concepts like your call to action, the organization of your content, and setting up layouts that will not only showcase your brand but also meet your goals for your site. A web developer is someone who takes the mockups from the designer and builds a functional website out of them. If your site will be built on WordPress (here’s our guide to get you started with WordPress), the developer may apply any customizations to an existing theme or template to bring the mockup to life. Or the developer may build a completely custom theme to fit your exact needs. Developers also add functionality to an existing site and can help with things like troubleshooting. An implementer generally falls somewhere between a designer and a developer in terms of their abilities. 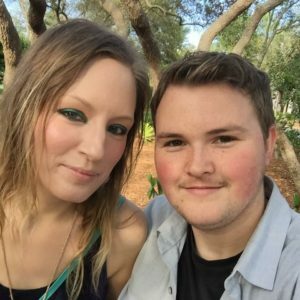 This person can work with you to find a theme you like, install it along with any plugins, and teach you how to manage your site once it’s finished. While hiring an implementer is usually cheaper, your project may require things that an implementer can’t provide, such as customizations, better user experience, and functionality. Before you start your search, it’s important to decide what services and skills are necessary for your project. Tell people what your business offers. Will allow customers to schedule appointments. Will encourage people to sign up for your mailing list so you can send them information (discounts, promotions, etc.). Will allow people to contact you with any questions. This is a pretty average list of needs and would allow you to choose any of the three services we previously mentioned since it isn’t likely you will need a super custom website. E-commerce and SSL with a payment gateway. Inventory management that syncs your physical store with your online store. More advanced scheduling for separate types of appointments, as well as a limited number of appointments during different time slots. Different access levels for team members who may need to log into the website to process orders and appointments. All of a sudden, your project became more complicated, whether there’s an existing solution that can fit your needs or you will need a custom solution especially for your website. In this case, you will likely need a developer, and perhaps a designer, depending on how the new functions will integrate with your existing website’s design. Does the designer’s style match the way you want your website to look? Dive into some designers’ portfolios, taking notes on things like layouts and colors. Things you like as well as things you don’t. Think of it like shopping for clothes; some options will catch your eye more than others. If you want a minimalist and modern site, it doesn’t make sense to hire someone whose portfolio looks cluttered and dated no matter how many projects they have. After all, you’re looking for someone who’s the right fit for you, not just the most used designer or developer. Beyond the overall style of the designer, another important aspect to consider is how the designer’s process works. Before you start this journey with any designer, it’s important to understand not only the steps and expectations you each will have along the way but to also decide if you feel this is someone you can work with. You and your designer should work hand in hand in the design of your website. This means communication and understanding between you to ensure the end goal is the same, and it allows you to feel more secure along the way, knowing that your designer sees the same vision for your website that you do. In addition, designing your website to showcase your new business or revamping your existing website can be stressful and time-consuming enough. Finding a designer whose process you like the best will help the process go smoothly for both of you. Will you need someone else to develop your website once you have the design or is it included in the pricing? Many designers partner with a developer (such as Carrie and me) so that the clients pay one price for both the design and development. Others may just simply provide mockups that need to be taken elsewhere to be implemented. While either approach is fine, you’ll need to be aware of the costs involved up front so you can budget accordingly. Will you need maintenance or upkeep for your finished site? Can you do it yourself or will you need to hire someone? A website is not a one time cost. Like everything business related, there are ongoing expenses. Your website needs to be kept up to date not only for functionality, especially if you’re using any third-party plugins or software. Your designer may offer a maintenance service or may even be able to refer you to someone who does. A designer or developer can also show you how to maintain your site yourself. Is the designer available if you need revisions or changes? When you hire a designer, you’re hiring them for a project as defined in your contract (if there isn’t a contract, run away). That doesn’t mean the designer is obligated to provide changes forever. Many designers will include a limited amount of revisions up to the final completion of the site. Find out ahead of time what costs you’ll incur if you need any revisions or changes down the road. Also, keep in mind that prices change over time; the price you’re quoted now may not be the same in a few months or even a few years. Don’t forget to sign up below to get your freebie, The Best Free WordPress Plugins Cheat Sheet!